It is our pleasure to offer a wide range of products and brands. Our company has been in operation since August 2010 and has many loyalty followers. All our products are specially and carefully selected before offering to you. We will continue to look out for more quality products and brands to meet your demand and needs. We understand that in Singapore, everyone are busy with family, work and leisure that is why nowadays online shopping is becoming more and more popular. 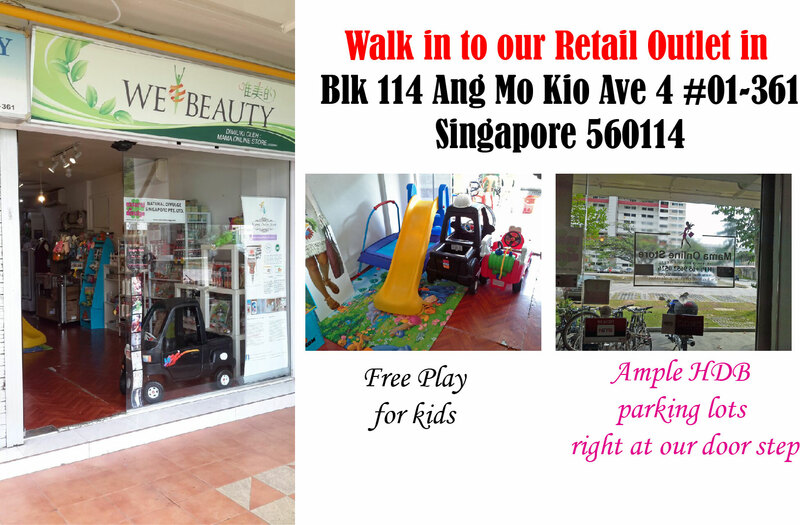 Many of our customer also enjoy walking into our retail outlet in Ang Mo Kio. For other timing, please make appointment 1 to 2days in advance by SMS or Whatsapp to 96520526. Self Collection is available upon confirmation of order with payment. For self collection anytime on weekdays or weekend at Ang Mo Kio Ave 4, kindly submit your orders at least a day in advance. Cash on Collection allowed only on Case to Case Basis.